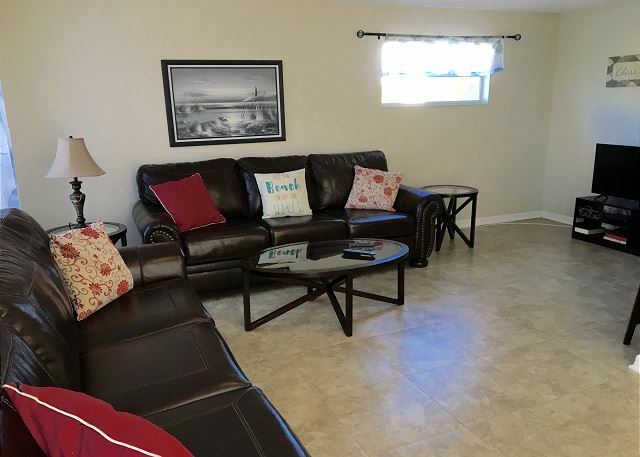 Welcome to this delightful and beachy 4.5 bedroom 2 bathroom Florida beach rental home, nested in the quiet and convenient city of Indian Rocks Beach, FL. 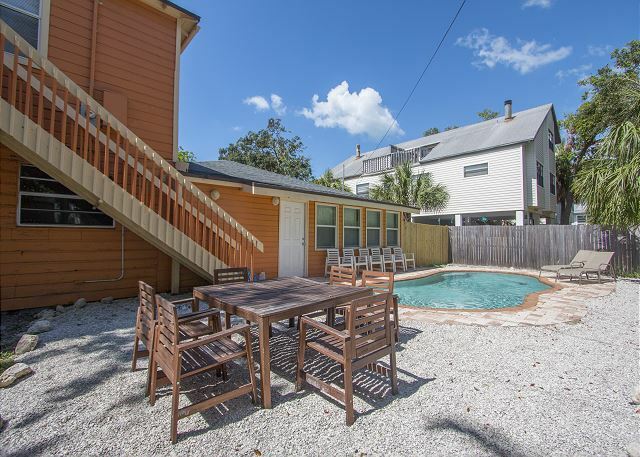 This adorable vacation home rental captivates you with its location. 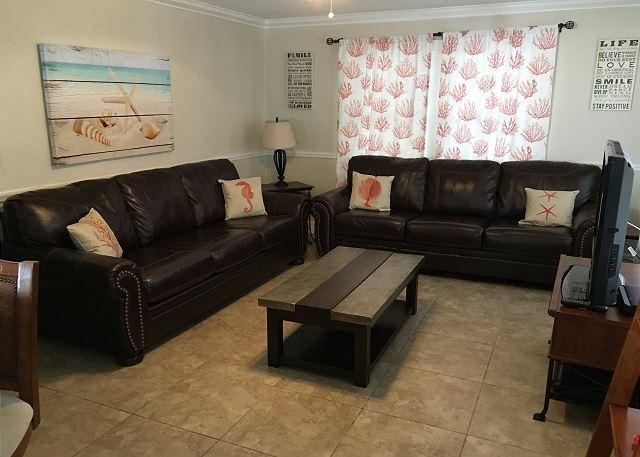 Upon entering this Florida beach rental home you will find the first floor which features an open floor plan with an updated kitchen, dining, living room, 2 bedrooms, 1 den and 1 bathroom. 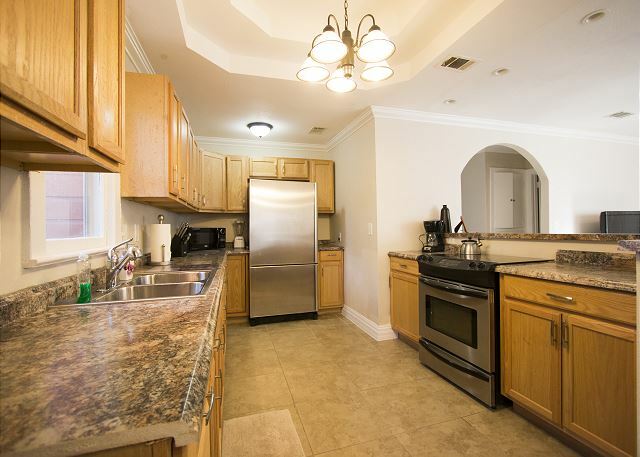 The updated kitchen offers newer appliances and beautiful solid wood cabinetry. 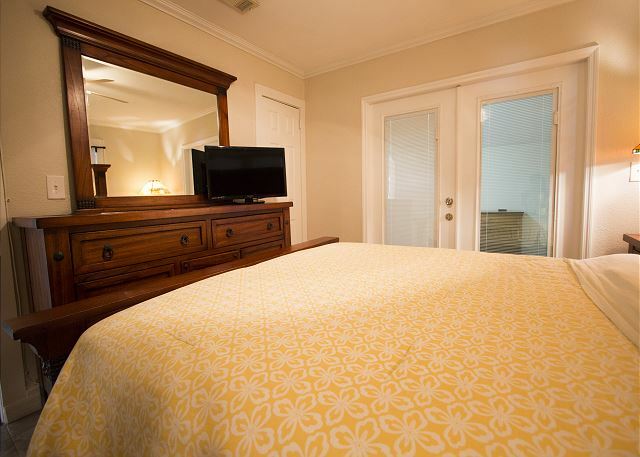 The bedrooms and den are bright and offer ample space. 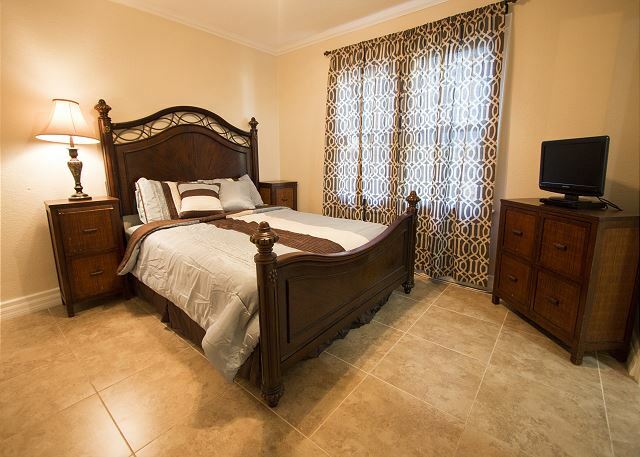 On the second floor you will find 2 additional bedrooms and one full bathroom. Perfect for two families as each floor has its own entrance. It is two 2/1 apts on top of each other and you do have to access each floor from the outside stairs. . 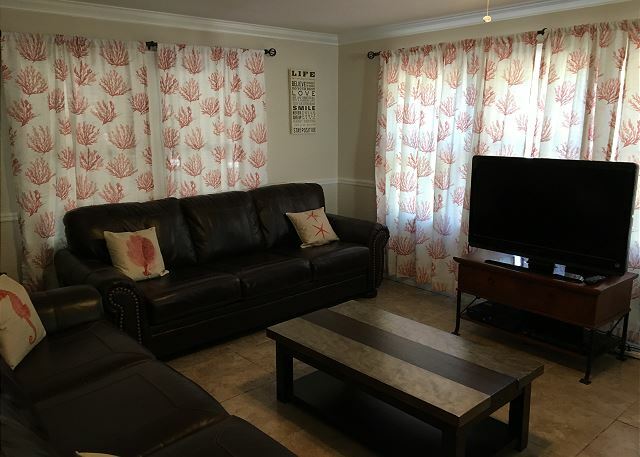 This vacation home rental sleeps a family or group of 14 comfortably. 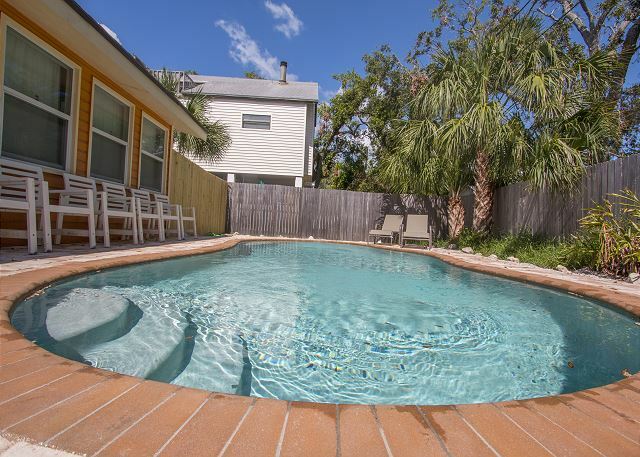 This vacation home rental is one of the many units that we rent in Indian Rocks Beach, FL. 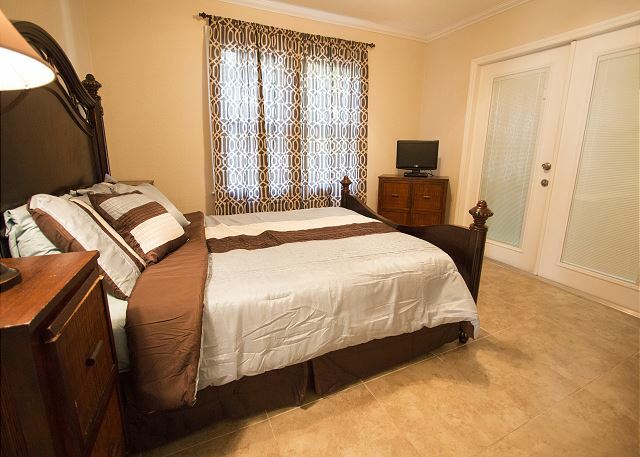 Please contact us to view other Florida vacation home rentals. We really enjoyed our stay in Indian Rocks Beach!!! This is the cutest beach town. 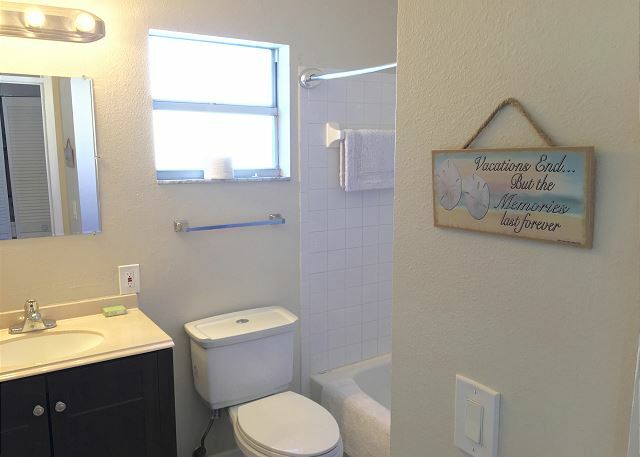 This property is located in the perfect location. We didn’t even have to get back in the car all weekend. 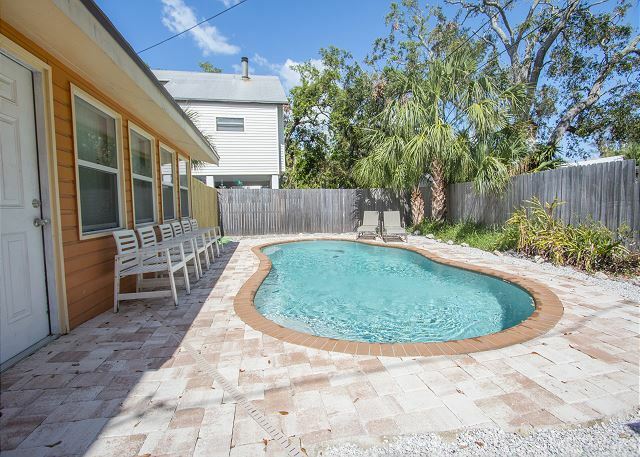 This home is is walking distance to the beach, great restaurants, and the cutest ice cream shop. The home is a little dated and some of the finishes need some attention, but the home is clean and has plenty of room. My kiddos LOVED the pool. The backyard is very private. We would definitely stay here again!!! Everyone was very friendly and so easy to work with. Had a wonderful stay at this house. The location is excellent! Walking distant to beach and many restaurants! The pool in backyard was a hit with the grandkids and kids. Spent a good share of the time there. The house was well equipped with everything we needed. The beds and furniture were comfortable. Lots of nice patio furniture also. We would rent this property again. 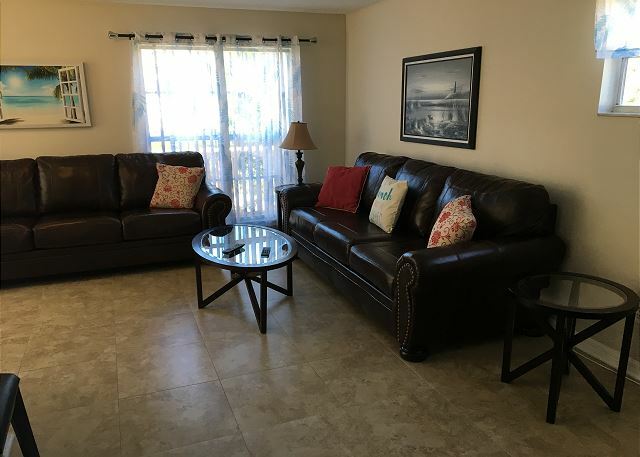 Nice cozy Florida rental, 2 blocks walking distance to the beach. Oyster bar on same street and other popular restaurants, all in walking distance including Crabby Bills. The house is 2 levels. 2 bedroom 1 bath each. 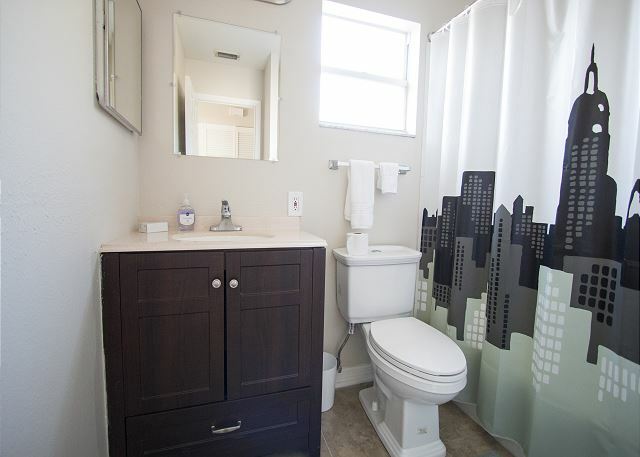 Basic accommodations, home is a little outdated & could use some added features but nice & clean. We thought the pool was heated but was not the case. We would rent here again. 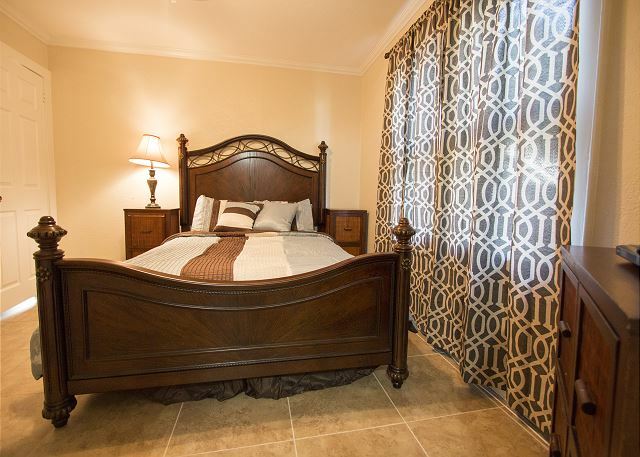 We were glad to experience the gasparilla festival from this beautiful home. It fit everyone perfectly and we all had enough space so noone was on eachothers toes. Overall an amazing house that we would love to stay at again for next years festival. Enjoyed our stay. It was nice to be within walking distance of beach, shops and restaurants. Had a great weekend !! We had a great time with friends over the weekend. The home location was awesome. It is only a 2 minutes walk to the beach. The home was spacious and had all the amenities. The rental company was helpful. The only thing I did not agree with was that they did not give me the 10% discount because I failed to mention it in the comments when I made the reservation. I feel that was a cheap trick. If you are going to give a discount, then just give it !!! 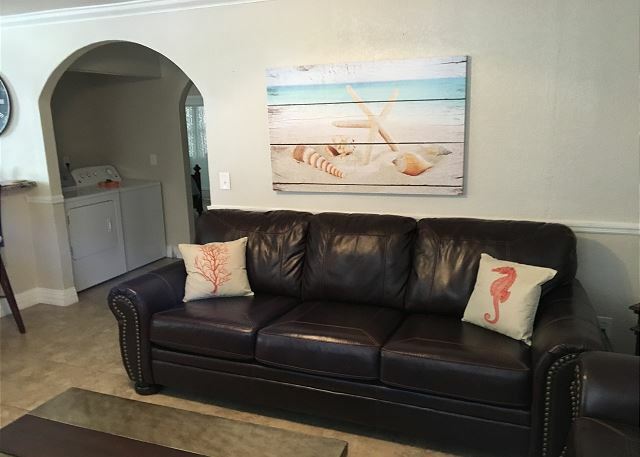 Thank you for your review and for choosing our "Pelican Paradise by BeachHouseFL". We are happy to hear that you enjoyed your stay and we will make sure you receive the 10% discount for your next reservation. If you do not add it on the notes the system will not recognize it and will not allow us to override it. I’m looking forward to having you again as a guest in our home. Great time, Great Location for All Ages. This rental experience was better than anticipated. We had family members ranging from preschooler, to pre-teen, sweet sixteen, thirty something and 50+. We all had a ball. 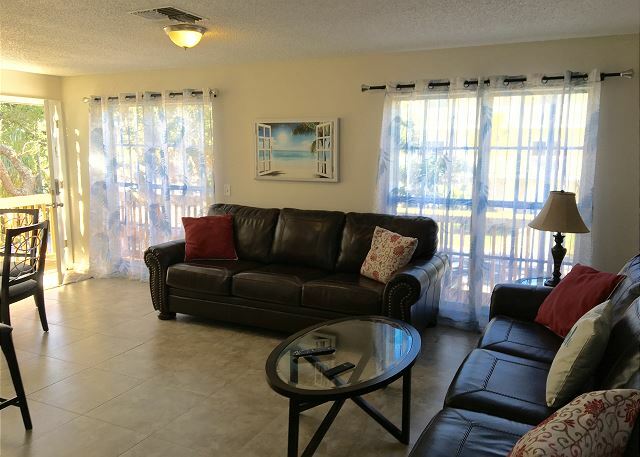 Close to the beach, great restaurants, perfect set up with the separate living quarters. We had a ball. The private pool was enjoyed by all! Would do it all over again. Thank you for your review and for choosing our "Pelican Paradise". We are happy to hear that you enjoyed your stay and I’m looking forward to having you again as a guest in our home. 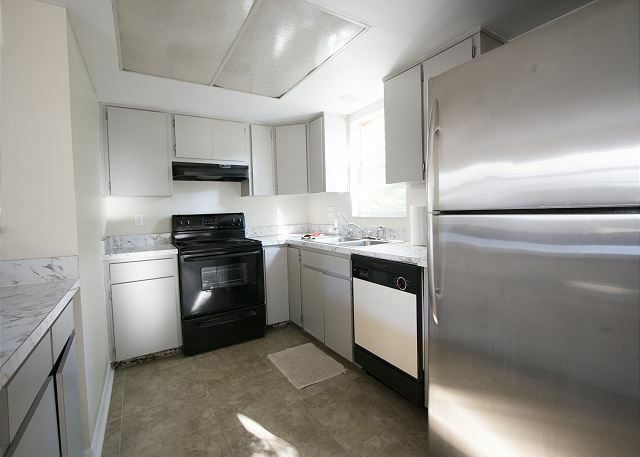 Great location, restaurant across the street, couple minute walk to CVS, Crabby Bill's, and other restaurants. 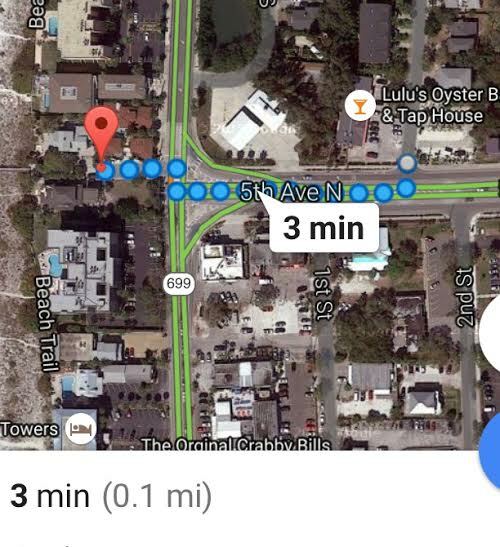 Beach is easy 3 minute walk. You can drive 15 to 20 minute in either direction of Gulf Blvd if you wanted to visit other beaches. The house had plenty of room. 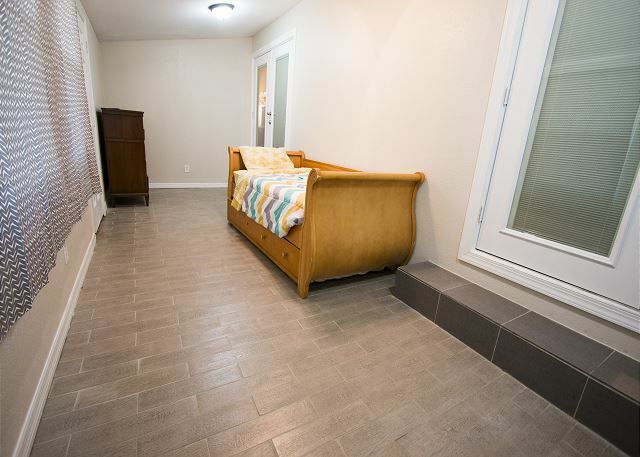 The attached upstairs was great for when my 4 month old grandson needed quiet space for naps. They have a pack n play and a high chair. Pool was nice, comfy outdoor furniture was delivered the day before we left, nice touch wish we could have used it more. The entrance leading into the downstairs bathroom is raised and needs to be level with the floor, a couple of us tripped over it so we had to cover it with the bathmat. There is a beach cart, sand toys, and a small beach umbrella at the house. Having A cooler available would have been nice to able to take to the beach. Overall we enjoyed our stay. I do have to mention I had an interaction with a man from maintenance that was not very pleasant. He was very rude when I asked a question about the pool. He should probably work on his professionalism. Overall, we had a very good experience. The beach was a very short walk from the house and Lulu's across the street was an awesome perk. The house was clean and in good shape and the pool was great. The rooms were very nice, but the upstairs room that you enter through from the back deck was a bit crowded and was a challenge when kids were napping/sleeping. 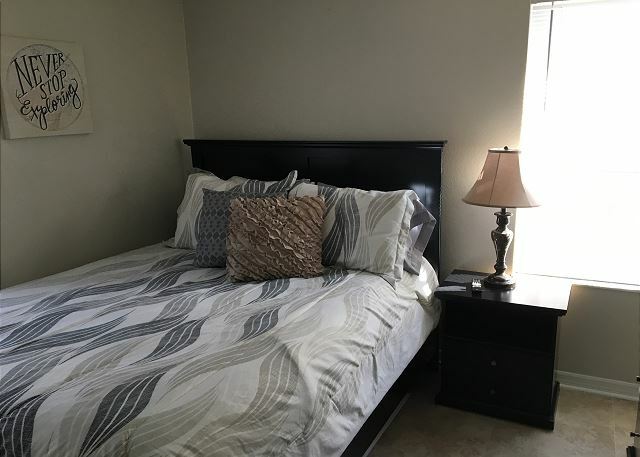 This is a very functional, clean and comfortable rental for a group or large family with lots of beds, kitchens up and downstairs, washer/dryer, Grill and unground pool. Short walk to the beach and many restaurants. I would only improve the place with a dishwasher downstairs and some pool chairs. Thank you for the review. I will mention the dishwasher to the owner. He might redo that kitchen and if he does, I will make sure he puts one in. This house was great for us and our 3 kids (4,13,15). The pool and being two blocks from the beach was wonderful. I didn't hear "I'm bored" one time! Hahaha. 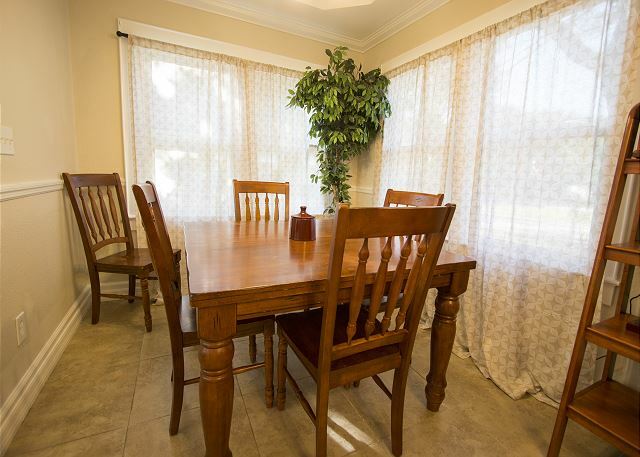 The dining room table was a great space for board games. The kitchen was easy to work in. 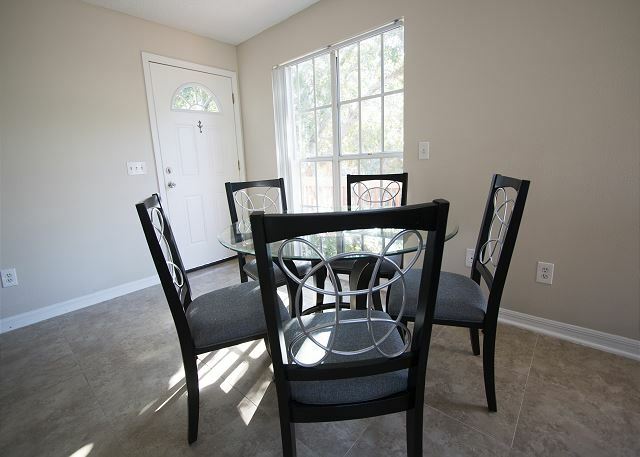 The grill out back was great.You do have to walk through two bedrooms to get to the pool, so privacy is minimal. There were a couple easy restaurants and ice cream within a 5 minute walk. The house was clean, although it has some minor maintenance issues. We had one issue that needed to be addressed immediately, and they sent someone over within an hour. Everyone involved was very easy to work with. I would highly recommend this house. We had a wonderful trip! Our hockey team stayed last June for 4 nights and it was perfect. One of the keypad locks battery died and they sent someone at 3 to let us in. 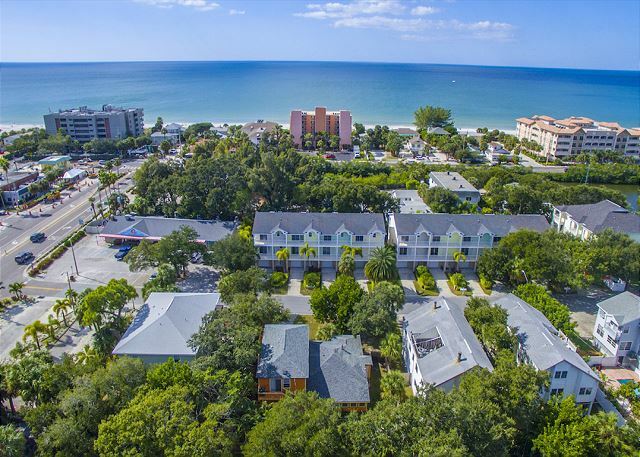 Walking distance to great restaurants and the beach. With older homes comes challenges. If you're able to look pass that you will have a wonderful experience. This split level home allowed us to live in comfort. Older home issues were outside paint , sticky drawers and old plumbing isses. Thank you for the review. We are glad that we were able to get that plumbing issue taken care of right away. Please come see us again soon! 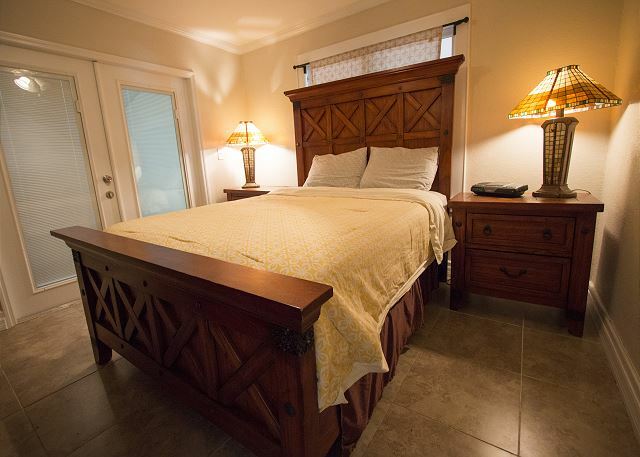 Great location,walking distance to beach and restaurants. Separate units worked well for 2 families with children. Yard and unheated pool was not kid friendly for 4 children under the age of 4, which meant time at the property was spent indoors. Disappointed that there was no dishwasher in main unit. Thank you for the review. We are sorry that this pool is not heated. We do have other homes with heated pools. Nice home. Reasonably priced. Management was very responsive. 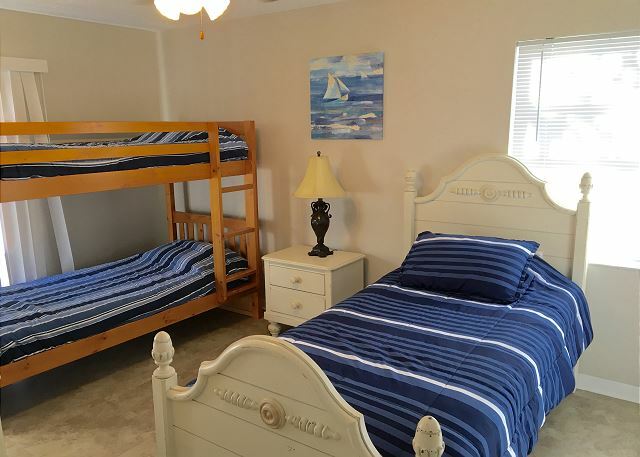 The location is close to the beach, restaurants, and other activities. While not super fancy, everything was comfortable and very clean. 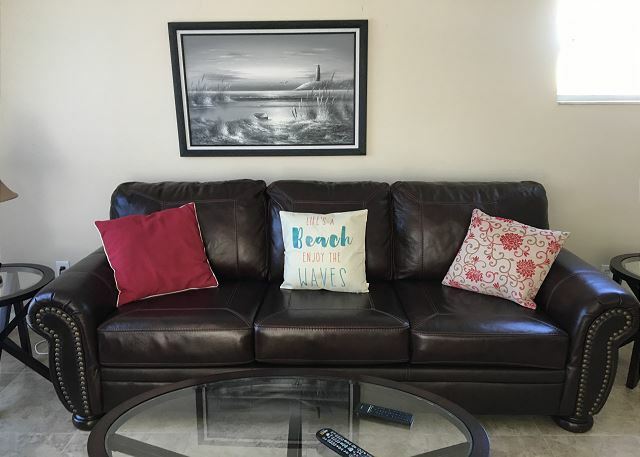 My overall experience was great, very good location and the rental was in good condition, we really enjoyed our stay defenetly renting again and would recommend it to anyone, it's a simple place but very comfortable. The Management company was superb. They were very responsive and helpful with everything from our pique interest to the final departure. Awesome customer service. The home was spacious. It had anything you would need on your vacation. The location was within walking distance to the beach, stores,ice cream shops, waterpark and restaurants. 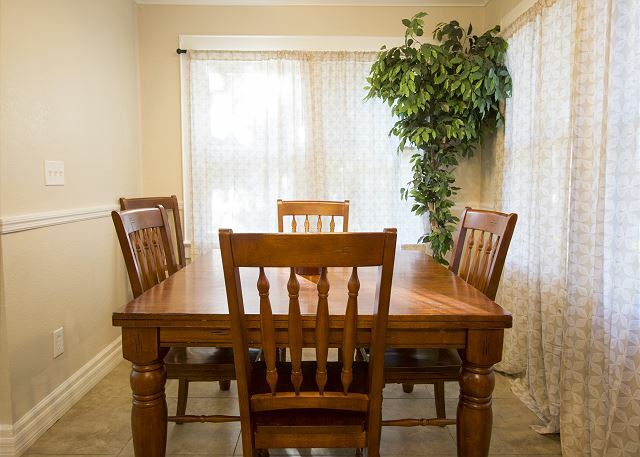 Overall, the rental property was in good condition with a few minor blemishes, but nothing that was of major importance pertaining to our stay (A few kitchen chair legs that were broke or needed to be tightened. 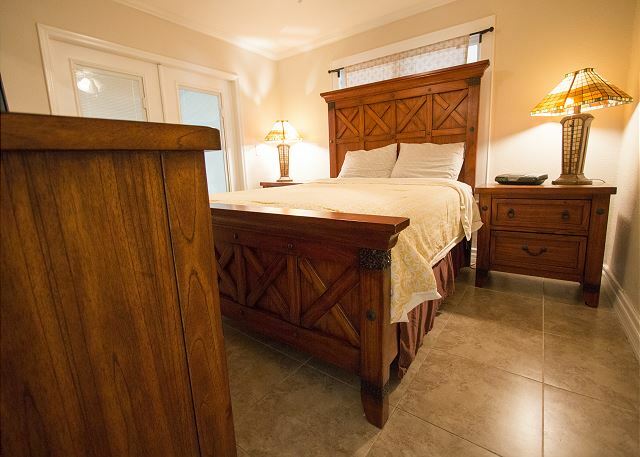 The location was perfect and the house accommodated all guests with a bed. Overall satisfied with the property. Thank you for the feedback. I will let maintenance know about the chairs. Great property and great owner! Our staff team took a "getaway" to the Pelican property and had a very good experience. The property itself isn't fancy, but it is comfortable and easy to use. We had no problems while we were on property and really enjoyed how close of a walk the beach was! It was wonderful to spend time with all the family!! We rented both units for a family vacation and everything was great. We had 3 toddlers with us and the walk to the beach was plenty short for them. Location was perfect, plenty of places to walk to and a short drive to Clearwater. Our stay at Pelican Paradise was a great get away! 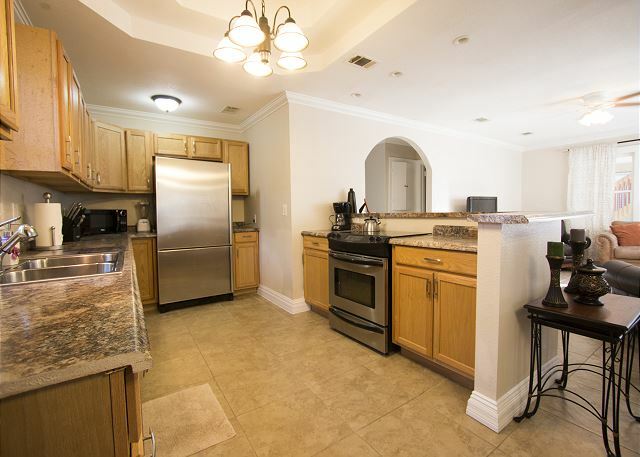 The property was in great shape and any problems that we had we were able to contact Maria from property management and she assisted us with any problems that arose. There were ample cooking items and towels and seemed to have everything needed for a trip away from home. 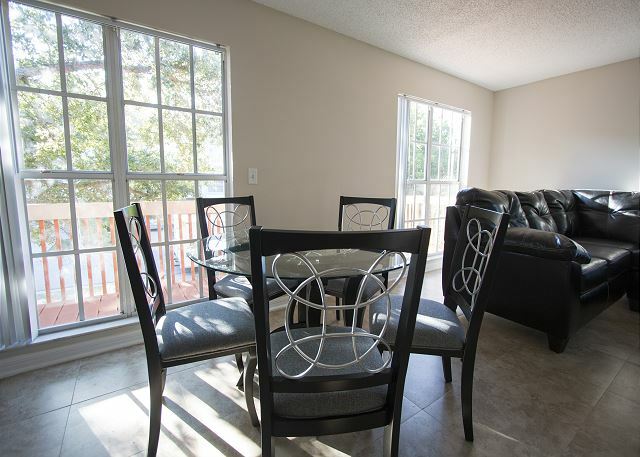 The property is a less than 5 minute walk to everything! The beach is close as well as multiple restaurants and shops. Lu-Lu's restaurant is right across the street and is cheap with great cheap food and drinks! Crabby Bills although is busy is a must stop for breakfast. If you are looking to go to a nice fancy place for dinner guppy's is a 5 minute drive and has amazing swordfish and crab cakes! The beach is an alcohol free beach so for our grou of 23 to 30 year olds it was a slight damper but we still made the most of the vacation and would recommend this property to anyone who wants a relaxing vacation near the beach. First impression was that the house was very cute. First downside was that our door code did not work, but one phone call got us access. 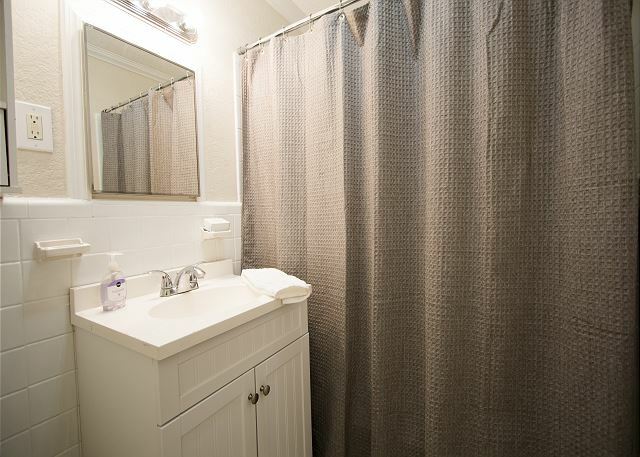 The house was clean and well stocked with towels and linens. The lamps could use some light bulbs and the ceiling fan in one room did not work. The wifi password was also incorrect, but we never took the time to call and get a correct one, since we were so busy enjoying the beach. The short walk to the beach and to Lulu's restaurant across the street was awesome. We will stay here again if we ever get back to the area. GREAT LOCATION! Feels like home! My best friend and I enjoyed our stay sooo much that we will coming back to Florida again in the future and will rent from ! 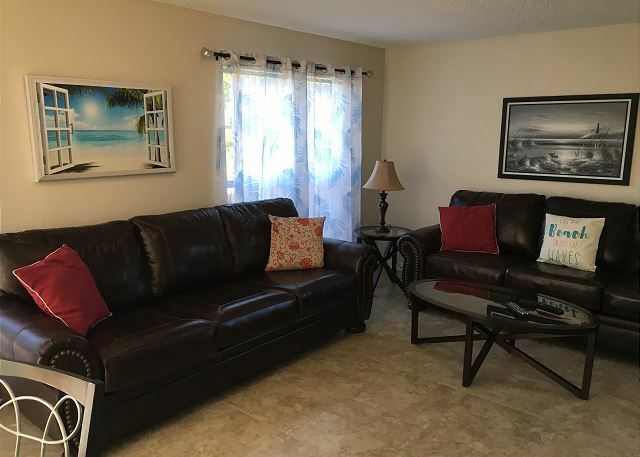 This property is absolutely perfect because it's within 2 blocks to the entrance of Indian rocks beach, crabby bills and the BEACH actually feels kind of private with all of the cute bungalows and houses nestled around it. 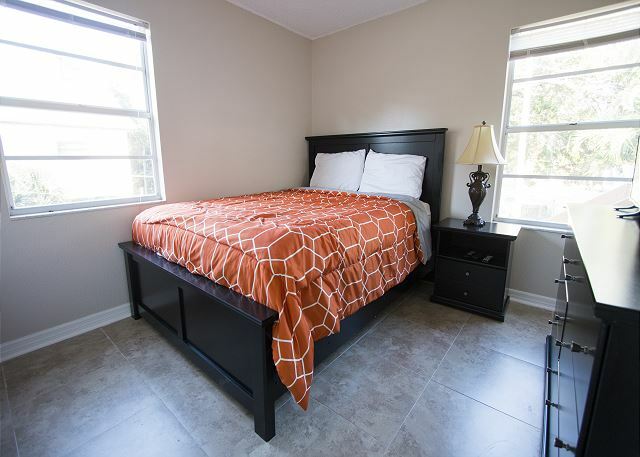 The house is adorable, very nice bedding, stylish but sturdy furniture and very clean! It's a house so it really feels like home. Only a few minor technical snafus I needed to contact BHF about and they all responded right away to my texts to resolve the issues quickly. We only rented the bottom half of the duplex and above us is similar to a mother in law apartment with a deck patio however no-one was renting that unit at the time so we were able to sit up On the balcony :). The photo isn't the view tho. This would be a great duplex style house to rent if you have a large group of friends and family because with the upstairs and downstairs you could fit at least 12 ppl. 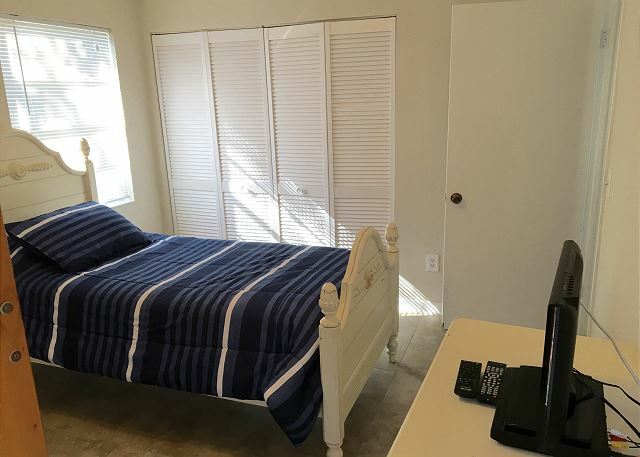 A nice size fenced yard too and the house has everything you need such as beach chairs and towels (although they were a little moldy but we didn't tell the pm's Bc it wasn't a big deal) I've never rented a home for holiday, only hotels so this was a very nice change of pace. I was a little nervous about how the only part of the reservation is paid by credit card $500 non refundable fee, no matter what what. Plus a $1000 deposit by check or money order however if you leave the place just as you found it the nothing to worry about!! And after reading the rental greement it made sense why they rent that way. Their property managers for folks renting out their Homes and I think it's s very trustworthy company. The staff was very gracious in dealing with a credit card issue I had and still held the place for us. My friend and I had a great vacation and a great experience with their staff!